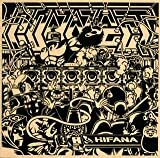 トップ > hifana > 音体能力の極み！NIKE FREE RUN+にHIFANA登場!!! This is a secret live performance that was held in Tokyo. Hifana is playing music with Nikes flexible running shoes, Nike Free Run+. *The NIKE FREE RUN+ is absolutely a running shoe.